Revenge-Obsessed Fanatics Want To Shut-Down All Golf Facilities In Ontario ! The golf industry is under hacking-attack by golf-hating fanatics who are pilfering sensitive and potentially-harmful information about Ontario’s golf facilities ! They must demand the shut-down of the unsecured IPM Council web-site ― NOW ! The board members of the #@! 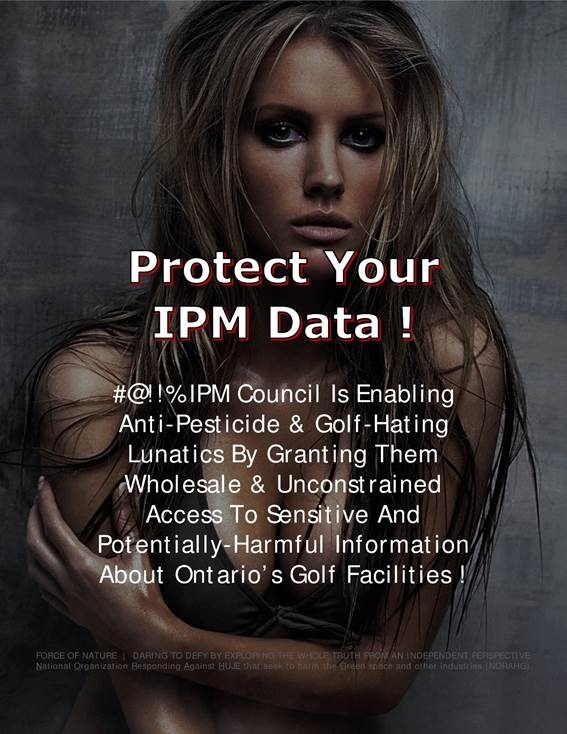 !% IPM Council are enabling anti-pesticide & golf-hating fanatics by granting them wholesale and unconstrained access to the golf industry’s sensitive IPM data ! IPM Council of Canada has granted fanatics with the wholesale and unconstrained access to sensitive and potentially-harmful information about your golf facility ! IPM Council of Canada has enabled golf-hating fanatics who want to DESTROY YOUR BUSINESS ! 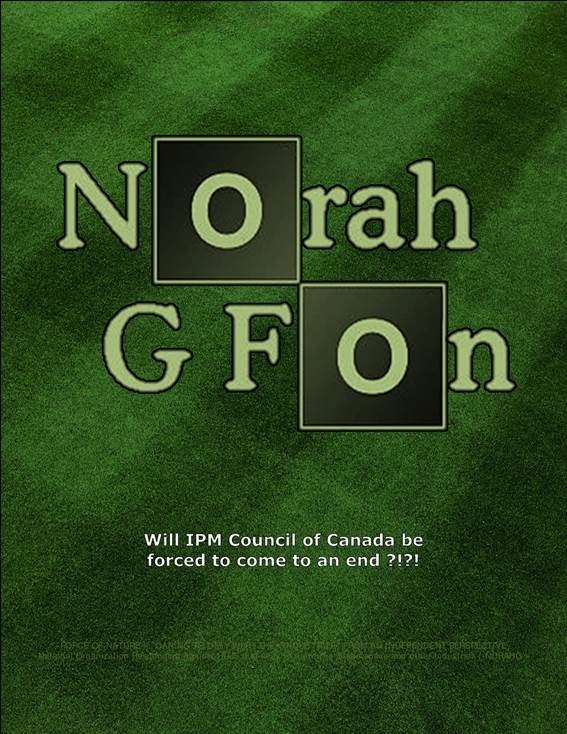 IPM Council of Canada has empowered fanatics who falsely-allege that YOUR GOLF COURSE KILLS CHILDREN ! These fanatics know exactly who you are, where you are located, and how you manage your golf course ― thanks to IPM Council, the fanatics no longer have to track down information about each facility in Ontario ― you can thank IPM Council for making it ridiculously easy for golf-hating fanatics to find you. • these fanatics will do everything they can to shut-down your golf facility ! • these fanatics will make false declarations to the government about you ! • these fanatics will make false declarations to the media and on the internet about you ! • these fanatics will protest in front of your club house ! • these fanatics will harass you by phone and by e-mail ! • these fanatics will disrupt meetings that you organize ! • these fanatics will call you a child killer ! • these fanatics will lie to your employees by telling them they will die from cancer if they work on your golf course ! • these fanatics will lie to your playing customers by telling them they will die from cancer if they play on your golf course ! • these fanatics will obtain grants to further study your use of pest control products AND fertilizers ! • these fanatics will obtain grants in order to test all waterways in your area ! • these fanatics will break & enter your facilities, and possibly vandalize & set your property on fire ! • these fanatics will lie about competency and have you terminated ! • these fanatics will harm your golf facility and destroy it ― these are the very same fanatics who have already destroyed Ontario’s professional lawn care industry ! If Your Golf Course Is Listed Here, Then You Are In Deep #@! !% Trouble !